FENIX Stage, works with all kinds of projects related to the entertainment industry and carrying out events, always advising our clients in the development of their ideas. Aluminium trusses are one of the most versatile modular structures in the world allowing a great flexibility in the assembly of stages, advertising banners, trade show booths, corporate, sports and aquatic events, and all kinds of custom projects. Its triangulated geometry gives it great resistance allowing it to withstand large loads in its structure, much larger than its own weight, so this structure is widely used to hang heavy elements that need to be elevated, such as sound equipment and lighting systems. 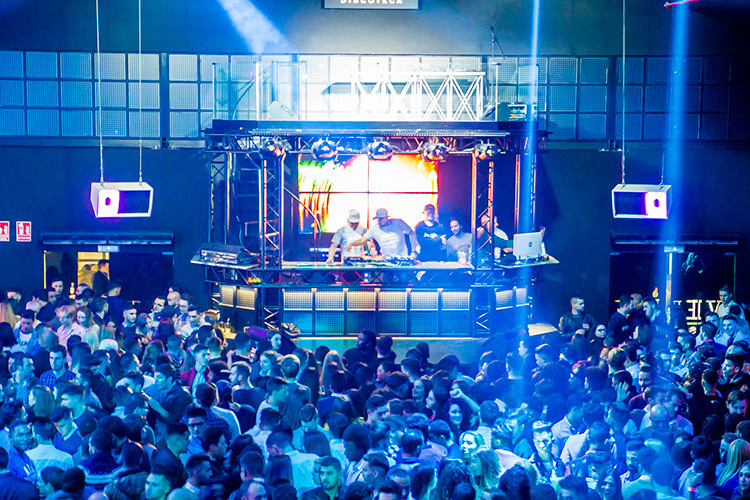 Last summer, FENIX Stage started working with a new nightclub called Velice, belonging to the renowned Vela Beach group, popular in the city of Torrevieja, Alicante (Spain) for its Vela Beach Club and its restaurants. Opened in 2016, Velice disco has 2,200 people capacity and it has 3 different stages, one of which is an outdoor terrace of 1,000sq metres, with different styles of music, from commercial to R&B or EDM among others. The venue has 30,000W of sound, four LED screens, moving heads, flashes, etc. Furthermore, Velice has different parties almost every week with international DJs and the best dancers. All of these, makes Velice become the best club in the area. This nightclub counted on FENIX Stage to renovate and redecorate its trussing roof and the whole DJ area. In the first phase of the project, on the one hand a rectangular square truss grid with black FENIX SQ-29 was manufactured, where the larger part of the room lighting is installed, suspended from the ceiling of the main room by means of PO-500 hoists that support a maximum load of 500kg and adjustable clamps AC-603 that withstand a ton. In the second phase, recently completed, a two-floor stage in the form of a half octagon was designed and manufactured: the lower part, as a DJ cabin, consists of a table with four square SQ-29 truss legs in black color, supported upon a square base BQ-29. To place the surface of the table made of opaque glass, the truss clamps were attached with AC-646 for 50mm tube with a special anchorage to hold the glass tightly. The second floor is installed on the mixing table, from which four more SQ-29 truss pillars are used to hold a platform made with SQ-29 trusses and with a black grating surface and anti-slip methacrylate. 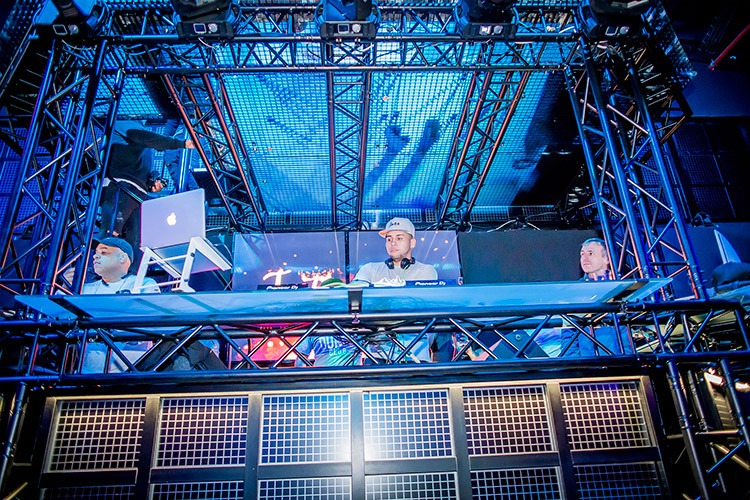 The grating is a very stable, lightweight and resistant electro-welded grid that allows light to pass through, so this platform is perfect as a stage for the visual shows that accompany DJs in their sessions. A spiral staircase made of steel gives access to the top from the DJ booth. All the trusses used in the project have an EN AW-6082 T6 alloy, 50x2mm main tube, 20x2mm interior braces and a conical connection system. Being manufactured in this alloy characterized by its great resistance and reduced weight, together with the conical connection system that allows a quick installation, we have a lightweight, strong, easy to assemble and very versatile. Also, its standard tube measure makes the SQ-29 truss compatible with most rigging accessories and clamp existing on the international market. 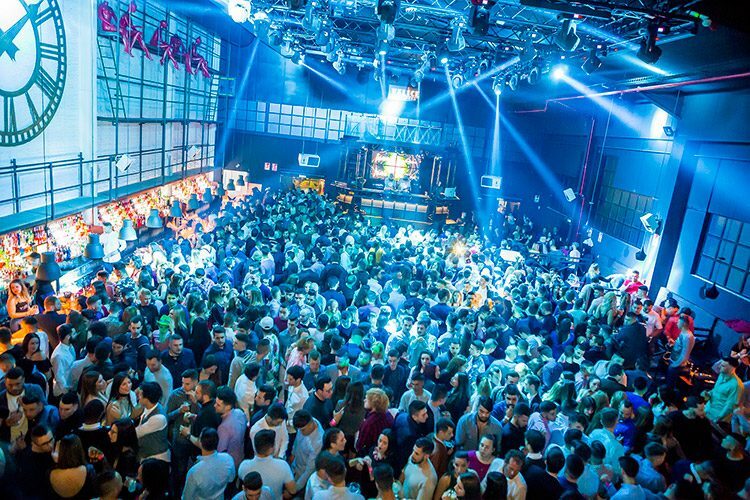 On December 2nd, the disco opened its doors with its new stage already fully installed fulfilling all expectations. Another job to add to our large list of FENIX Stage success stories.